My family and I went to Chengdu China for business trip and it was fun because Mr Pocoyo is bigger and we do not need baby stroller anymore, things were much easier compared to his previous trip (he was only 10 months old when he went to China for the first time). 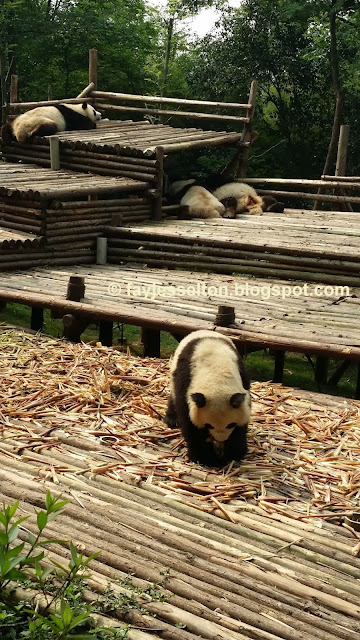 I've been to China and Hong Kong for many times and most of them were a business trip but this time around when we were in Chengdu, it was totally a different experience. I guessed that it was because of Chengdu has a different culture compared to Shenzhen, Guangzhou or Beijing. 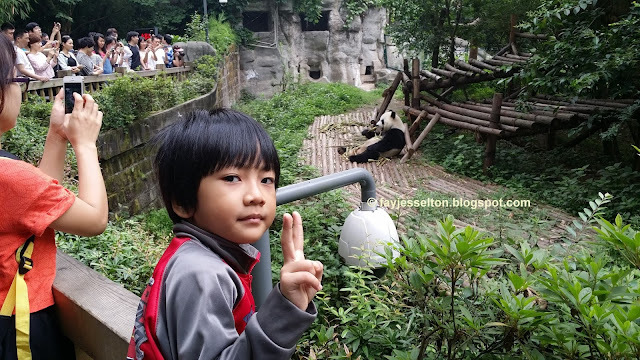 While the Mr. Boyfriend and I were busy with checklist for meeting and so on, the little boy was just busy imagining the panda, panda and panda. Flight was around 9am and it took approximately 4 hours and 30 minutes to reach Chengdu from KL. Not bad. It was cloudy on the day we arrived. Chengdu is the 3rd largest city in China after Beijing and Shanghai. At Chengdu Airport, taking picture before heading to the hotel. These two were heading to the convenience store to get a local SIM card. The hotel is approximately 10km from the airport. This hotel is located in the main city so we walked around conveniently. Chengdu at Night. It was good to stay at the high floor of Holiday Inn. Tianfu Square. Place for shopping and train station. The statue of Mao Zedong (毛澤東) as the landmark of Chengdu. It's walking distance from the hotel. Don't forget to visit the Sichuan Museum of Science and Technology when you are visiting Chengdu. Tianfu Square is right in front of the statue . It is always crowded at Tianfu Square. Food outlets are available at the basement - McDonalds, subway etc..
My babies. They were heading for dinner at Tianfu Square. Beautiful cars and exquisite architectural. Landmark of Tianfu Square, the spiral deco. One of the most exciting thing to do in Chengdu is visiting the Panda Center. 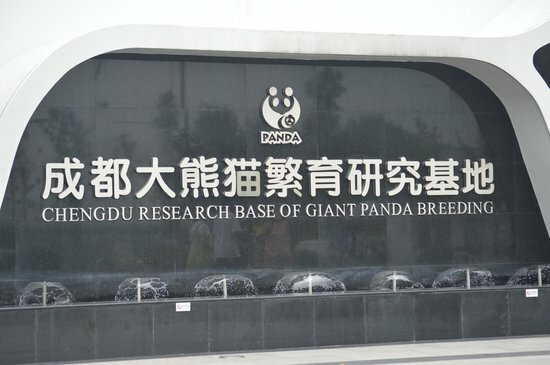 Chengdu Research Base of Giant Panda Breeding .. nah, that's too long. 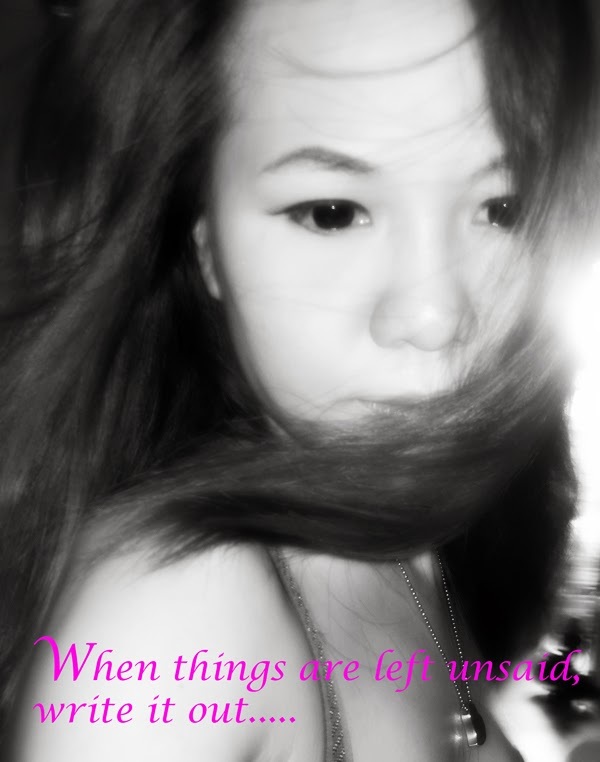 If you are in Chengdu, you do not need to say the whole sentence. 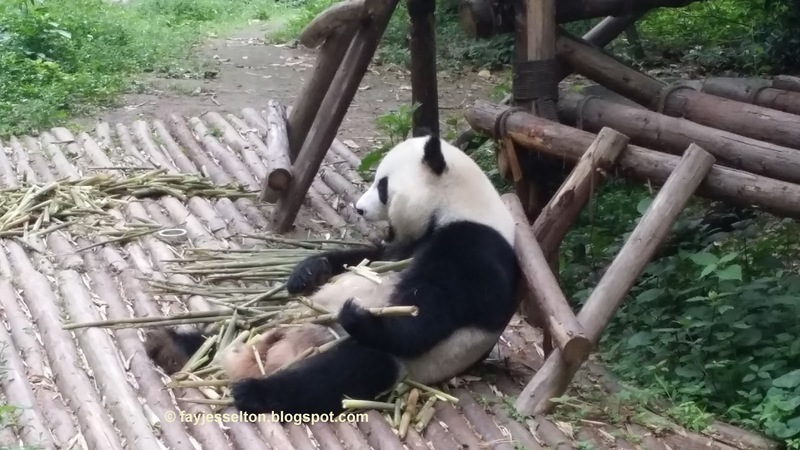 All you need to say is Xiong Mao and the taxi driver will take you there, but you have to remind them whether you are going to the nearest or the farer center because there are two different panda center in Chengdu. Tips to go to Panda Center, do not use the taxi that is waiting in front of your hotel. They charged higher, ask 2 or 3 taxi drivers to compare the prices. We almost conned. There are always taxis available outside the Panda Center so you don't need to charter a taxi but it is always the best to visit that place early morning like 9am. The giant panda is really big and beautiful. 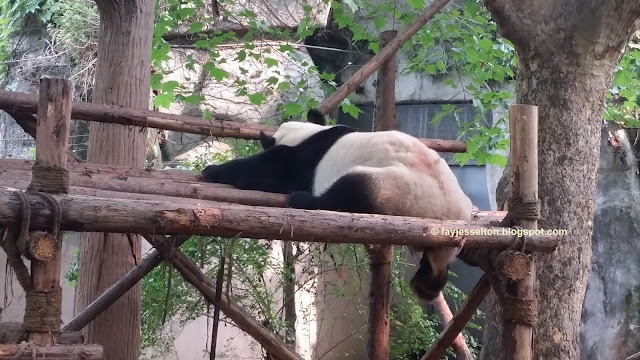 The best time to visit the breeding center is in the morning - while the pandas are having breakfast, because of Pandas love to sleep after meals. Lazy panda. Eat until couldnt move. the panda was enjoying the paparazzis. Red panda and peacock, they're friends. There are not many red panda in Chengdu, mostly the ordinary panda. Some days, you can't see the red panda because they aren't caged. Bamboo trees are everywhere in the breeding center. Seems like this place isnt suitable for those people on wheelchair due to split level and stairs. It was crowded that day. As if never seen koi before. In the taxi otw back to the hotel. Please read because I walked a long way to get this pic. Thanks. Chinese in Chengdu is the new black. JK. Flagship Stores of high-end brands are everywhere in Chengdu, anyway, wholesale shopping is still available in different buildings. Some are located at the underground shopping place. In my opinion, trip to Chengdu is fun because the transportation system is very friendly, every taxi are metered, police officers are always patrolling. We even used the speed train to explore Chengdu by our own. Someday, we'll return to Chengdu to visit the Irrigation System ( Dujiangyan Irrigation Centre) that was constructed 256 BC. There are simply too many places to visit in Chengdu. 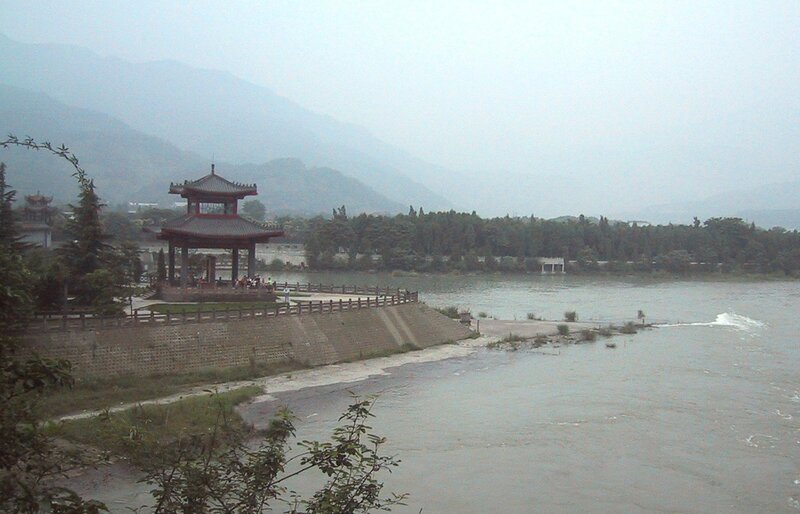 Pic of Dujiangyan is taken from Wikipedia. You can see our food experience in Chengdu HERE. Please login to www.airasia.com to book your tickets and hotel rooms to Chengdu.